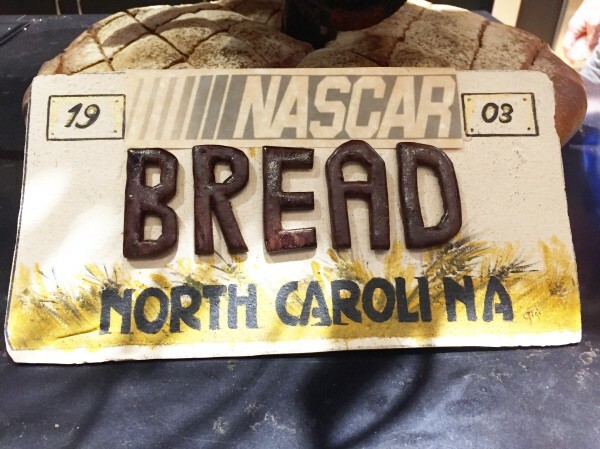 Pictured: Part of Chef Harry Peemoeller’s bread sculpture presented at the conference. HRN on Tour returned to Charlotte, North Carolina for the second annual International Symposium on Bread. Held at Johnson & Wales University, the two-day event was hosted and curated by award-winning author and baker, Peter Reinhart. Listen here for symposium talks presented by some of the most innovative leaders in the bread industry. Karl De Smedt of Puratos kicks off day two of the symposium with a presentation on a unique initiative dedicated to preserving the biodiversity of sourdough: the Puratos Sourdough Library in Saint-Vith, Belgium. Next E.A. McKenney, a postdoctoral researcher at North Carolina State University, presents her research on sourdough microbiology. Then Alexandra Zeitz, the manager of the Food Lab at Drexel University, speaks about her quest to make a gluten-free croissant and the development of a gluten-free laminated dough. Marcus Mariathas, Senior Director of Research and Development at ACE Bakery in Toronto, discusses the challenges of replicating artisan quality in large-scale production. Closing out the symposium is Stanley Ginsberg, author and expert on all things rye, on overcoming the production and marketing challenges unique to rye bread.